It’s easy enough to identify the flow of air up the chimney – just put your arm in and you will notice it! Once you’ve blocked the chimney you will find that a lot of the other draughts around the home are significantly reduced. Having an open chimney is like leaving a window open all the time, and fitting a Chimney Balloon is like fitting double glazing in your chimney. Well, kinda. Anyway it’s like closing the window. However unless you live in a particularly well sealed home there will be other leaky parts of the building that the pernicious cold air will find routes in through, and these can be harder to find. With a Smoke Pencil, you can send out controllable streams of smoke-like vapour to track down these leaks as part of a draught-busting mission. What is a Smoke Pencil? The Smoke Pencil Draught Detector is designed specifically for the identification of draughts and air leaks. 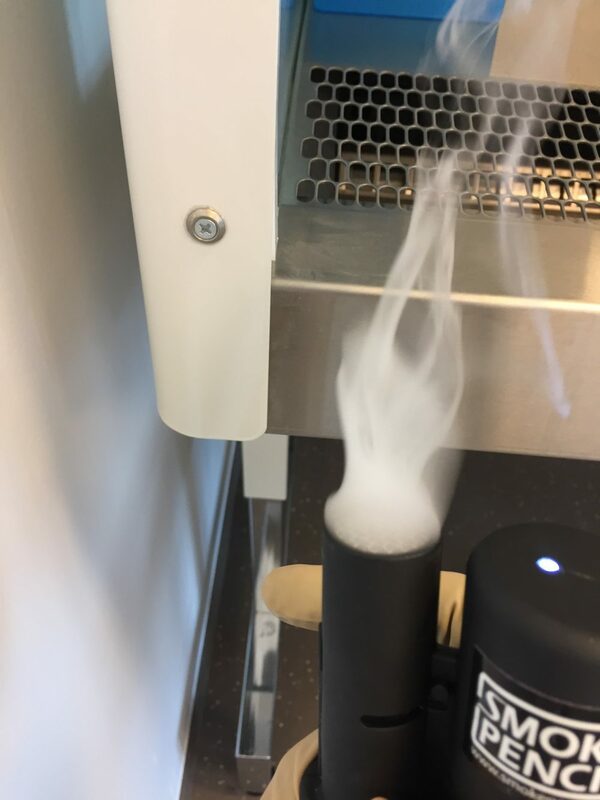 It works by producing a harmless glycol and glycerine vapour – the mixture is simply heated by a small heating element inside the Smoke Pencil, which then rises out of the item in a small plume. 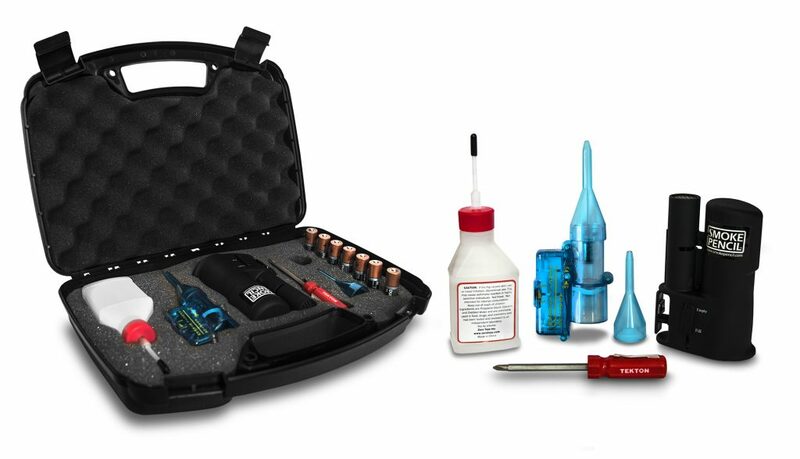 Unlike smoke pellets and various other smoke puffers you can control the amount of smoke the product produces simply by using the trigger; there is even an adaptor kit available which allows you to fine tune the smoke plume for precise draught locating. The Smoke Pencil contains no harmful chemicals – (in fact all the chemicals present in the smoke pencil fluid are food grade!). This is unique to the Smoke Pencil as many other smoke sticks and pellets need to be set alight for the smoke to be produced this runs the risk of producing dangerous carbon monoxide in certain conditions. Why choose a Smoke Pencil? A Smoke Pencil enables you to control the Smoke. The Smoke Pencil gives you the ability to control the vapour that is produced. By pulling the trigger firmer you produce a thicker plume of smoke, while pressing it gently allows you to produce only a small amount. This is completely unique to the Smoke Pencil. If you need even more precision, there is an adaptor kit available too – by fitting this to the top of the Smoke Pencil you will create an incredibly fine stream of smoke. Perfect for precise draught detection around small fixtures and narrow areas. The smoke pencil is entirely battery powered and has no wires or plugs! You can just pack up the field kit and take it anywhere – use it where you need it. Reach into the highest corners of the room to double check the fixtures around beams and windows to make sure they’re draught free. The Smoke Pencil is powered by batteries and is rechargeable battery friendly too! Unlike single use smoke pellets and smoke sticks your Smoke Pencil can be used over and over again. You simply have to purchase extra refill fluids once you start to run low and recycle the empty bottle! The Smoke Pencil does not technically produce smoke – it produces a vapour mix of glycerine, glycol and water through the use of a gentle heating element- all these ingredients are food grade and non-toxic, meaning the vapour produced is completely safe. The fact no incineration occurs means the risk of producing Carbon Monoxide and Carbon Dioxide or other hazardous chemicals is eliminated. What can you do with a Smoke Pencil? The main use for Smoke Pencils is draught detection. By activating the smoke pencil a stream of smoke will rise from the product. By placing it near cracks and fixtures you will be able to see if there’s any movement in the smoke and so detect if there’s airflow and draughts. It is also invaluable for new house air leakage tests – all new build houses are required to undergo an air leakage test before they can be purchased. A Smoke Pencil is perfect in this scenario to assess the effectiveness of seals and fixtures – especially at joints and bridges, where pin prick air leakage is common and difficult to detect. Using a Smoke Pencil to identify air leaks in order to repair them before conducting air tightness testing proves to be extremely cost effective. 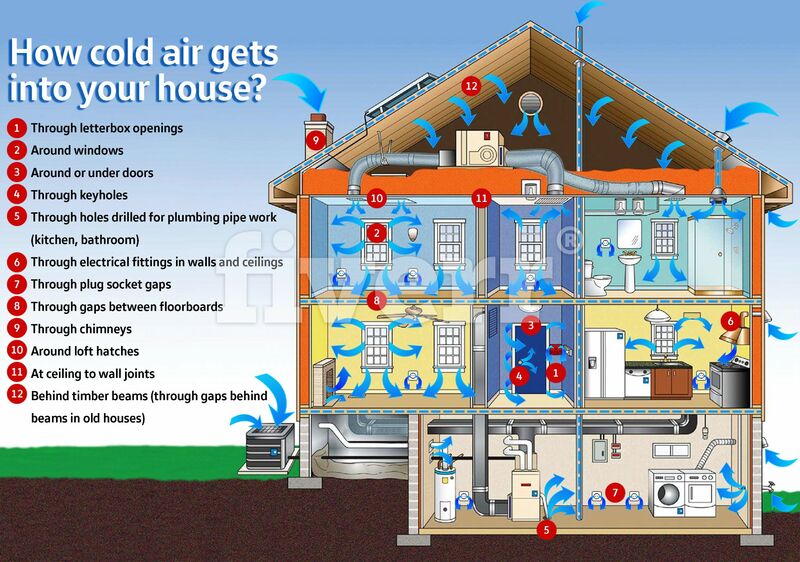 This is particularly the case when it comes to passing Passive Haus criteria which involves extensive air pressure testing in order to ensure that the house retains energy efficiently. Passive house status can be difficult to obtain and requires an excellent level of insulation. Using the Smoke Pencil with the fine nozzle adaptor is a most efficient way of isolating almost undetectable air leaks. How does a Smoke Pencil work? Watch this clip from DIY Doctor to see the Smoke Pencil in action and being put through its paces. adding scents to the Smoke Pencil Fluid to produce scented vapour for scent test training with animals. Use in presentations where controlled smoke is required. I’m not sure how it was used but it was deployed successfully I understand!